“Veronica” is a triple room very spacious and bright with new bedding and an en-suite bathroom with shower and separated toilets. For a bigger comfort, this bathroom is composed of walk-in shower and two basins. Here you have choice between one king size bed 180*200 or 2 separated beds 90*200. Thank you to inform us through your booking. With a beautiful clearance, this room has been designed with a “Château” style, thanks to headboard in solid wood, tapestries and swords. The room has a door open to the garden and to its patio. 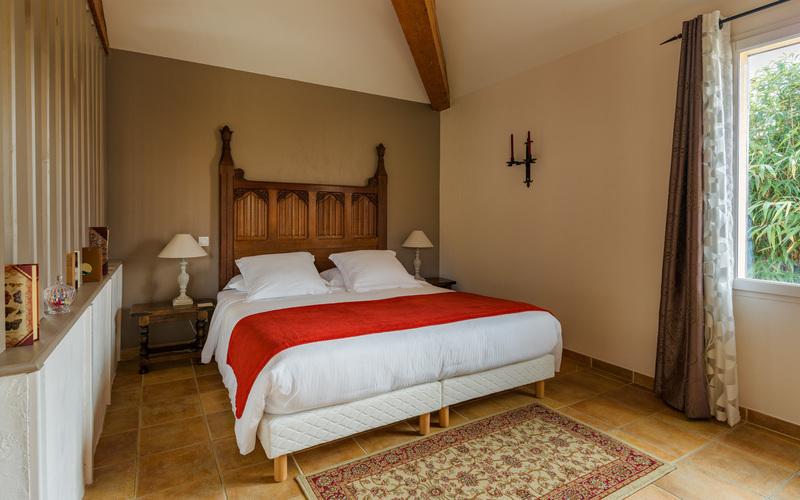 From this room, you will benefit from our most beautiful view of the Montfort Château. Veronica also disposes of an extra single bed of 120*190. 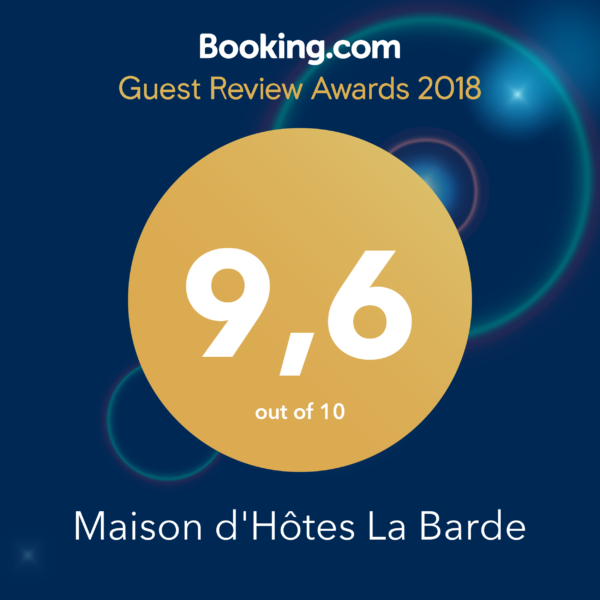 This triple room is from 120€ for 2 persons per night and 145€ for 3 persons; be careful, these rates fluctuate according to the months of the year. Price is of course including breakfasts.